Romania is one of four countries leading an innovative project to improve palliative care education in Europe that is available in six languages. 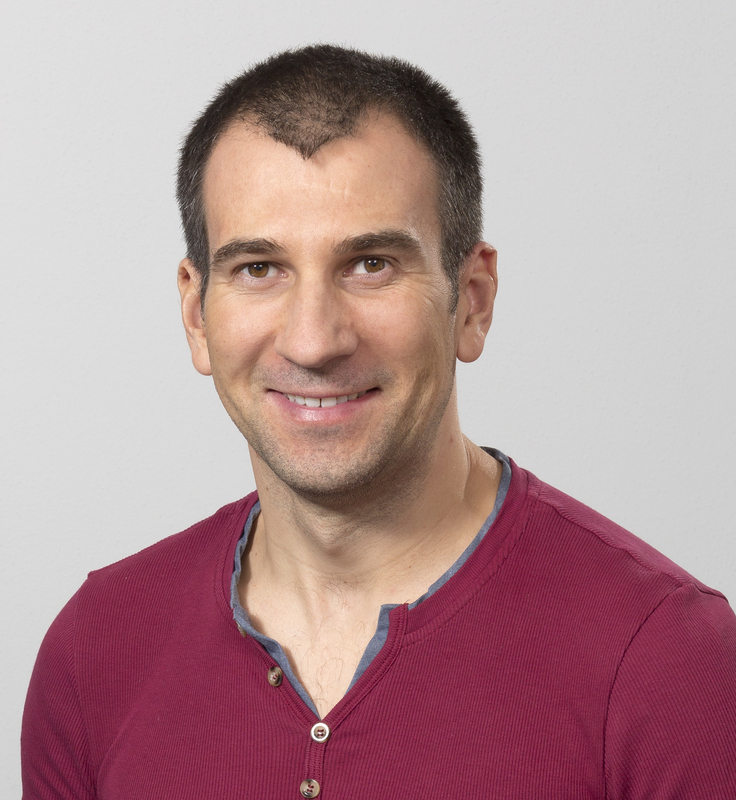 The Romanian project is directed by Associate Professor Ovidiu Rusalim Petris from Grigore T. Popa University of Medicine and Pharmacy of Iasi. Here, Dr Vladimir Poroch, who plays a key role in the project, explains. Dr Vladimir Poroch who plays a key role in Medlang Romania. 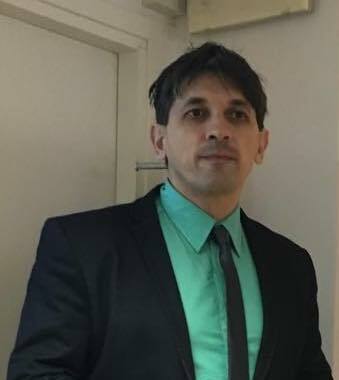 Ovidiu Rusalim Petris, Director of Medlang Romania. Medlang is a Massive Open Online Course (MOOC), funded by the European Commission, and is a practical answer to the context of the ageing population in Europe. Using explanatory videos in six languages, the course aims to improve education and training in palliative care through intercultural and multilingual medical communication. The needs of the beneficiaries targeted, and then involved in the project, showed that qualified medical assistance for palliative medicine in the partner countries was scarce. Also, in many situations, palliative healthcare assistants acquired basic knowledge and skills on the job. The need to train qualified medical staff to meet the growing demand of assistance in the field of palliation in Europe is a must. How to do this in a qualified, standardised way – and with knowledge and skills aligned to the most recent research findings in the field – was the practical challenge to be met and fulfilled by the project. MedLang addresses the community at large. As well as health and social care practitioners, lecturers and medical students, it is aimed at language teachers working in medical institutions, volunteers, education centres and companies involved in social corporate responsibility. Medlang project members in Romania. The interdisciplinary MOOC offers 20 fundamental palliative medicine procedures. Each procedure follows a standardised approach, with videos to illustrate procedures, including the accompanying communication, and a linguistic unit that practises the specialised language. The videos are available in six languages: Dutch, English, French, Italian, Spanish and Romanian. The MOOC approach to introduce and practise skills for palliation, based on collaborative learning and evaluation of knowledge and skills, networking and constructivism, is a totally new way of teaching for the countries involved in the project, which are used to classic teacher-centred methods. Promote stronger coherence between different EU countries and national transparency and recognition tools and ensure that skills are recognised across borders by identifying, defining and standardising the palliative medical and nursing skills, which allow students across Europe to be active participants in clinical routine after their first year of medical studies. Improve the level of key competencies and skills, with particular regard to their relevance for the labour market (everyday medical practice), through strengthened cooperation between the world of education and training and the world of work. Improve the teaching and learning of languages and promote the EU’s broad linguistic diversity and intercultural awareness. Develop innovative and multidisciplinary approaches to teaching and learning and eLearning materials, which support students both during their skills training and their practical module. Foster quality improvements, innovation excellence and internationalisation at the level of education and training institutions, in particular through enhanced transnational cooperation between education and training providers and other stakeholders. Specialized research of medical literature and practice about palliative care in Romania, Italy, Spain and Belgium. Guide of 20 Medical Procedures in six languages, topics covered are: Catheterisation; Paracentesis; Automatic syringe; Bed transfer; Conspiracy of silence; Active listening; Communicating news; Spiritual assessment; Nutrition; Oral care; Patient bath; Pain assessment; Pain prescribing; Burn out syndrome; End-of-life care; Terminal phase; Prevention of ulcer; Awareness level; Patients’ network; Caregivers’ needs. 20 videos with simulation of palliative care procedures. 120 language units for learning six foreign languages for medical purposes (Dutch, English, French, Italian, Spanish and Romanian). Seven Educational Toolkits published in hard copy with DVDs (319 copies). 1,469 people directly involved by the project activities and a further 320,000 reached by the project products. Contact Dr Vladimir Poroch by email. Read more posts in this series on Palliative Care in East and Central Europe. 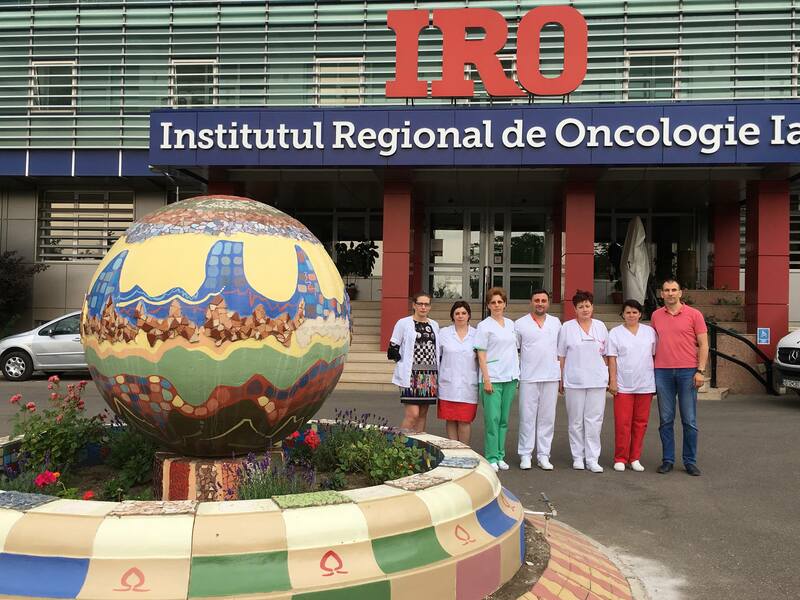 The project is a partnership comprising Grigore T Popa University of Medicine and Pharmacy Iasi, Transilvania University, Brasov, Fundatia EuroEd and Iasi Regional Oncology Institute in Romania; Karel De Grote Hogeschool Katholieke Hogeschool Antwerpen, Belgium; Universidad Europea de Madrid SL, Spain and Azienda Sanitaria Locale TO3, Pixel Associazione Culturale and Connectis, in Italy. This project (2014-1-RO01-KA203-002940) has been funded with support from the European Commission. This communication reflects the views only of the author, and the Commission cannot be held responsible for any use, which may be made of the information contained therein. This entry was posted in East & Central Europe, EDUCATION & TRAINING, NATIONAL & INTERNATIONAL REPORTS and tagged Medlang MOOC, Palliative care education in Europe. Bookmark the permalink. Je vous remercie beaucoup de l’intéret que vous portez a l’EAPC, Cordialement Avril Jackson.